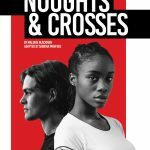 Following the announcement of Heather Agyepong and Billy Harris as leads Sephy and Callum in Sabrina Mahfouz’s forthcoming adaptation of Noughts and Crosses, the Belgrade Theatre is thrilled to reveal the full casting for the show. Co-produced by the Belgrade Theatre together with Pilot Theatre, Derby Theatre, Mercury Theatre Colchester and York Theatre Royal, this new adaptation of Malorie Blackman‘s much-loved YA novel is the first production to emerge from a new consortium project, established to create work for younger audiences. Between 2019 and 2022, the companies will commission and co-produce an original mid-scale production each year, which will play in all the consortium venues as well as touring nationally. Set in a volatile, racially segregated dystopia, Noughts and Crosses follows the story of teenagers Sephy and Callum, two star-crossed lovers kicking back against the divisions in their society. Leading the show will be Billy Harris and Heather Agyepong. Heather Agyepong‘s theatre credits include Girls (Talawa Theatre, High Tide & Martha Rose Wilson Productions); So Many Reasons (Fuel Theatre & Ovalhouse Theatre) and Sankara (Next Up Talent; National Theatre Studio). Billy Harris’ theatre credits include Boots On The Ground (Tangled Feet) and 13 (Tobacco Factory Theatre). Joining the cast as Sephy’s sister, Minerva, will be Coventry local Kimisha Lewis, who recently appeared in the sell-out Edinburgh Fringe run and UK tour of the critically acclaimed drama Freeman, created by Belgrade Springboard Company Strictly Arts. Kimisha also recently performed at the Belgrade Theatre in Open Theatre Company‘s and Birmingham Hippodrome’s The Twisted Tale of Hansel and Gretel, and will appear in the Belgrade’s alternative Christmas panto, Over The Top. Other credits include Last Dream (on Earth) for National Theatre of Scotland and Send: A game of textual tennis for the Lyric Hammersmith. Also local to Coventry is Doreene Blackstock, who takes on the role of Sephy’s and Minerva’s mother, Jasmine. Doreene’s impressive list of theatre credits include Much Ado About Nothing at Shakespeare’s Globe and Cymbeline and Hamlet for the RSC. Other casting includes Jack Condon (East, King’s Head Theatre and Last Man Standing, Theatre N16), as Callum’s older brother, Jude; Daniel Copeland (Invincible, Orange Tree Theatre and The Jungle Book, Leeds Playhouse) as their father, Ryan and Lisa Howard (They Don’t Pay? We Won’t Pay, Northern Broadsides and Flood, Slung Low and Hull City of Culture 2017) as their mother, Meggie. Chris Jack (Brighton Rock, Pilot Theatre and York Theatre Royal and Our Town, Royal Exchange Manchester) completes the cast as Sephy’s father, Kamal. All actors will also play ensemble roles. The show is directed by Pilot Theatre’s Artistic Director Esther Richardson (Brighton Rock) and designed by Simon Kenny (Sweeney Todd, Barrow Street Theatre and off-Broadway; Holes, Nottingham Playhouse and Black Men Walking, Eclipse and Royal Exchange Manchester). Noughts and Crosses comes to the Belgrade Theatre 26-30 March 2019.